You are here: Home / Coffee History / Are Breast Milk Lattes Just A Novelty? There is no doubt that countless new fathers have tasted at least a few drops their wives’ breast milk at some point after childbirth. But how far will they go beyond that first innocent taste? Will they take in an entire cup? Will they fight their children for it? Will they add it to coffee? Or will they go beyond a coffee additive to the realms of the breast milk latte? 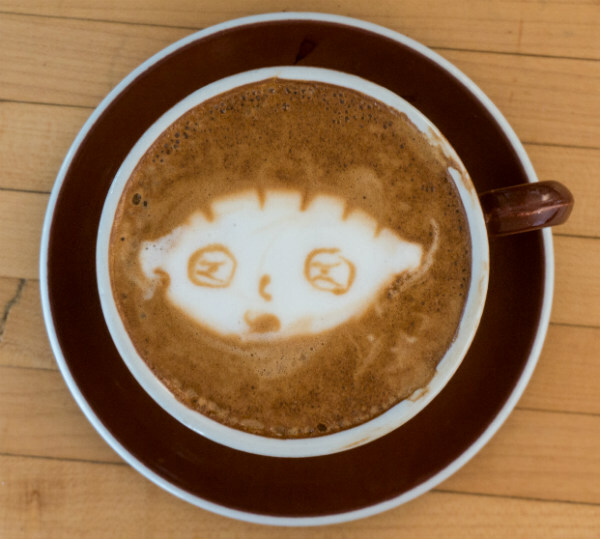 Is the breast milk latte just another urban legend? breast milk will almost always taste like food that the mother eats, kind of watered down and, well, milky. I was expressing in the shower one day and accidently got myself in the face, after I got over the shock, I was amazed at how much it tasted like the chicken dinner I had the night before. sweet. light body … obviously some residual sugar. a mild complexity. a little buttery, just barely effervescent. the finish is a little tannic, actually. The story offered by Alex in the video is that his wife had recently given birth to twins. Three months after delivery, she took the opportunity to drink a few beers at a Foo Fighters concert and her breast milk was temporarily condemned as a result of the alcohol. Rather than waste it, Alex saved it for himself and to share with friends like Gordon. In the video, Gordon does sip it, but then immediately spits it out. Apparently, breast milk tastes better to the actual fathers then it does to their friends. Just what type of fad was Alex James trying to start by releasing such a video? Is he planning a new breast milk production facility to promote his taste fetish? Doesn’t he realize that outside of a committed relationship, breast milk is just too difficult to obtain? Breast milk lattes are just not feasible to the population at large. While breast milk bank facilities do exist, they serve legitimate medical needs. It would be highly unethical to compete for that limited supply just to satisfy the cravings of those who seek out such a unique taste. The Human Milk Banking Association of North America is an organization set up to promote donor milk banking. They dispensed 745,329 ounces of donor breast milk in 2005 to hospitals in over 80 cities across North America. All of that milk was used for legitimate medical purposes only and is not available to the latte-seeking espresso snobs. Outside of the medical use restrictions, the donated milk is very expensive, selling for $3.50 an ounce, according to the article Mama’s Milk For Sale on MedIndia. Even if you could purchase it directly, it would put the price of a 12-ounce breast milk latte at over $42 per cup! Breast milk may also be available directly from recent mothers. USA Today reported in November 2007 of an Iowa woman offering 100 ounces of breast milk for $200. At $2 per ounce, that would bring the price of a 12-ounce Latte to $24, but still prohibitively more expensive than the $3 cow milk latte from Starbucks. And buying from unregulated individual donors could be risky. It would seem the easiest, cheapest and safest way to obtain the famous breast milk latte is to wait until your own children have been weaned off it, and then beg your wife for one more bottle for your own breast milk latte adventure. Although there is occasional hype and even documented video reports of breast milk lattes and cappuccinos, it is safe to say that it is just a novelty, and mostly attempted by recent fathers. You can have your whole milk, your two percent, your nonfat or even soy milk, but any requests for a breast milk latte at your local Starbucks will likely result in just a horrified look from your barista. Answerbag – Archived page of a 2006 discussion thread on the taste of breast milk. The Human Milk Banking Association of North America – Official site. Mama’s Milk For Sale – Story on the price of human breast milk. Iowa woman takes out ad to sell her breast milk – November 2007 story in USA Today. Latte art photo by Joseph Robertson of Extracted Magazine.